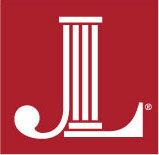 Thank you for your interest in partnering with the Junior League of Birmingham. This year, the Junior League will celebrate its 97th year of service to the Birmingham community. Over the years, our volunteers have worked with agencies like yours to improve the health, education, financial stability, and well-being of women and children in our area. We continue that tradition as we solicit agency partners and select programs that will create systemic change in our community. The Community Research Committee, led by Meghan Coffman, will evaluate and select projects that complement the mission of the Junior League of Birmingham. The committee will look for projects that offer our members the opportunity to impact our community in meaningful and challenging ways. We encourage projects that are collaborative efforts and address critical needs in the Birmingham community. It is also our goal to select projects where outcomes of our funding, volunteer efforts, and the services provided can be measured. Please be aware that 86% of our membership is employed full or part time, so volunteer opportunities geared towards evenings (after six o’clock) and weekends, or a concentrated time period, are often very popular. Meghan and the Community Research Committee are available to provide assistance with your proposal. This year, we are hosting ONE informational meeting (Wednesday, September 19 at 11 a.m. – JLB Auditorium) to allow you to learn more about our organization’s mission and our volunteers. The information shared at this meeting will assist you in determining the most effective way to use our volunteer resources. I hope you will attend. The Junior League of Birmingham is committed to promoting voluntarism, developing the potential of women and improving the community through the effective action and leadership of trained volunteers. We look forward to working with you and your agency.